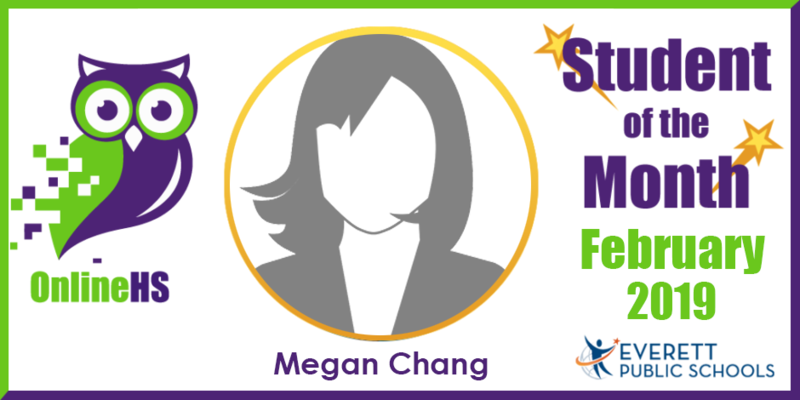 We are pleased to announce OnlineHS February Student of the Month, Megan Chang. Megan is taking OnlineHS Walk FITT 2 this semester. “One thing that I’m thankful for in this online class is that it allows me to manage my time better and is convenient for me to do anywhere. I am looking forward to learning new material and more ways to stay healthy in this online class.” says Megan. After high school, Megan hopes to attend the University of Washington! Congratulations Megan and good luck!